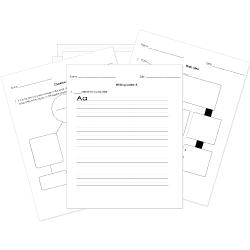 You can create printable tests and worksheets from these Grade 2 Adjectives questions! Select one or more questions using the checkboxes above each question. Then click the add selected questions to a test button before moving to another page. Which word in this sentence is the ADJECTIVE? He threw the hard rock into the river. The boy wore a blue shirt to school. The feather fell to the ground. There are stars in the sky tonight! Write an adjective that best fits the sentence. Abraham Lincoln is often described as [adjective] . Abraham Lincoln is one of the most [adjective] American presidents. His [adjective} speeches about freedom united the country. Abe and Mary went to school for [adjective] periods of time. What is the compound adjective in the following sentence? Our team lost, but we enjoyed the halftime show. My favorite baseball team is the BOSTON Red Sox. These friendly people are our neighbors. Which word is an adjective? Usually when you choose a center for your team, you pick someone who is TALL. Which adjective best fits in the blank? It was not raining, so my umbrella was . My mom asked me to wash the dishes. Cynthia made a nice, cake. Carter looked for a shirt to wear. What is another name for an adjective? The kitten looked curled up in the blanket. As we crept through the forest, a frosty wind blew through the air.